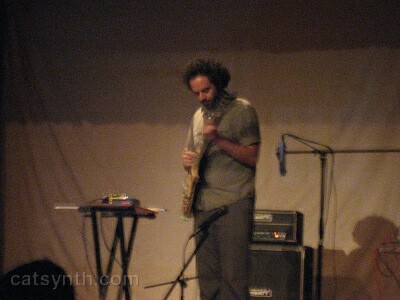 Last night was the first full concert of the Outsound Music Summit. “Blurred Lines” focused on the combination of music and visual media, i.e. film and video. The pieces were more of a collaboration between film and music rather than one serving the other per se, although in each case the music making and film/video making were done independently . 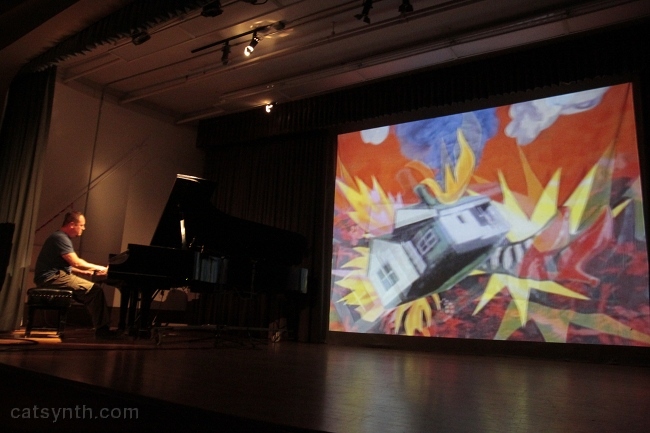 The first half of the concert featured films by Martha Colburn with live piano improvisation by “local Bay Area pianist impresario” Thollem McDonas. Colburn’s films employ stop animation with original artwork and found images, as well as found footage. The overall look reminded me of Terry Gilliam’s animations (e.g., from Monty Python), though the material was generally much darker. Several of the films dealt with death and violence, particularly in U.S. history and current events. Destiny Manifesto in particular juxtaposed images of western settlers in conflict with Native Americans alongside contemporary looking soldiers and scenes that could have been from the Middle East or Central Asia. Images of people being killed and dismembered abound in these films. Other films, such as Meet Me in Witchita with its images inspired by the Wizard of Oz, but here again things turned dark with Osama Bin Laden’s head superimposed on the Wicked Witch and then being killed and collapsing in a mess of bloody body parts. There were lighter images in some of the films, such as figures that seemed influenced by South Asian shadow puppets and even abstract graphic squares reminiscent of a disco dance floor. McDonas’ piano veered between more classical or film-score inspired music and more percussive prepared piano. The music did not follow each film structurally per se (i.e., in the manner of a film score), but did evolve over time and present a particular character in each film. Initially, it started off lighter with fast runs and anxious chords, later on being more percussive and employing prepared piano or plucked strings. As the set progressed, the piano music became dense and darker, with large clusters of fast patterns and arpeggios in lower registers, every so often punctuated by more percussive and plucked elements. Overall the music had an aggressive feel which both showed of McDonas’ piano skills and fit with the violent nature of the films. 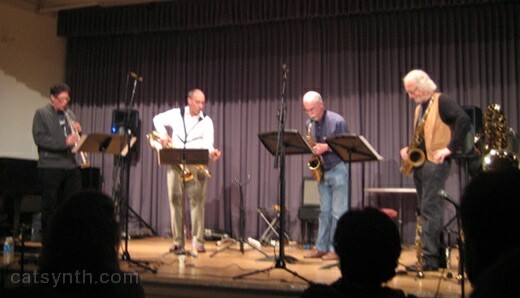 The second half of the program featured the 2009 60×60 international compilation. 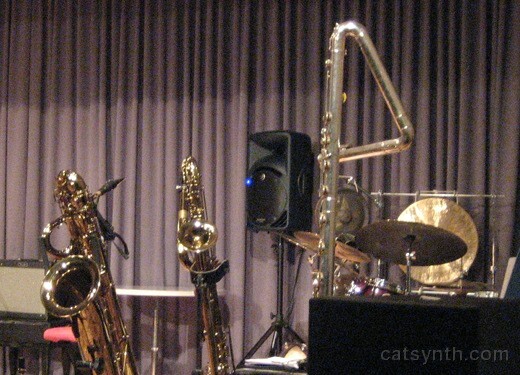 This is a set of 60 one-minute compositions that were selected and ordered into a continuous hour-long performance. For this program, each piece was set to a one-minute video) by Patrick Liddel. I had actually heard the 2009 60×60 compilation before (without the videos) at the Long Night’s Moon Concert last December, and recognized several of the pieces from that performance. Many of the videos were abstract graphics, such as the pixelated images that accompanied the opening pieces by Halsey Burgund and Matthew Dotson, or the abstract kaleidoscopic images set to Polly Moller’s “Abdominal Cyclist Ultra”. Others had more representational images. 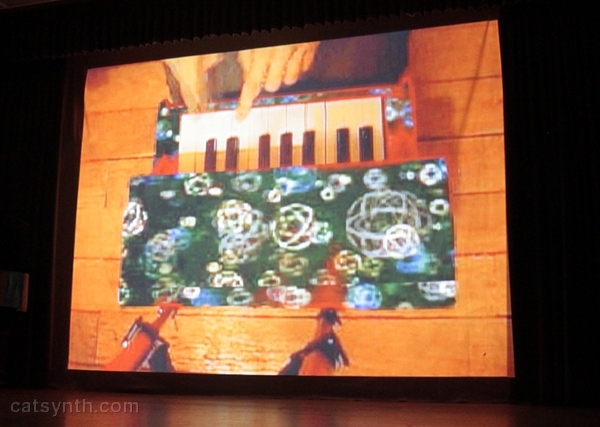 #16 by Jane Wang featured toy piano and was set to footage of a toy piano being played. 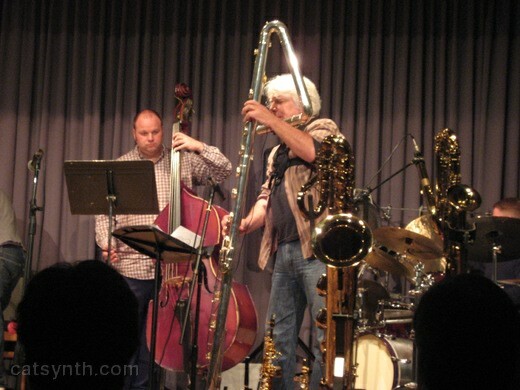 Some were less directly representational and more evocative of the music, such as the scenes from 1950s television commercials set to Gregory Yasinitsky’s jazz piece. Although it was far more abstract, I would put the constantly moving gray rectangles against Patrica Walsh’s electronica dance music in the same category. 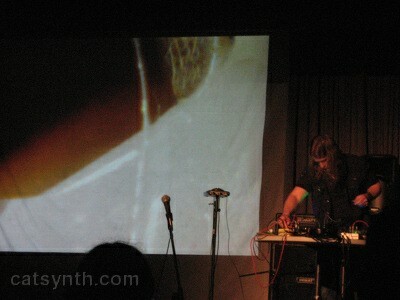 Among my favorite of the combined video+music pieces were Brian Lindgren’s music set to a slowly moving film of a woman in a black dress in front of a brick wall; and Enrico Francioni’s sounds featuring strong resonance and feedback that were set to a beautiful film of forward motion in a dark industrial hallway. Also of note were Jay Batzner’s music (which reminded me of Xenakis) set to geometric views of industrial girders, perhaps power lines; and the intricate grid (along with spiders) set to Anton Killin’s metallic sounds. Overall, with 60 sets of constantly changing visuals and music, and my attempt to take at least few notes on each, the experience became one of sensory overload. Looking back on the notes, it is interesting in looking at my previous review of the 2009 60×60 mix how different pieces stood out more in the mix without the visuals while others seemed more prominent in the music+visuals mix.